Now, many people are talking about the comments made by Brandon Beane about how the Bills are better than the 9th overall pick, and all signs point to them trading out of the 9th pick if their player isn’t there. Although they don’t have a “glaring hole” to fill, the Bills would be wise to use their connections from the 2018 NFL Draft to make a move UP instead of down. This would echo is statement of them "being aggressive". ​Hashtag Sports gives their predictions on the Buffalo Bills 2019 Schedule. ​The Buffalo Bills look to add to their running backs by signing Christian Wade, former Rugby player for the Wasps. What are the chances of a former rugby player making an impact at the NFL level? ​In the third and final installment of UB players, Khalil Hodge is a perfect example of a player who is simply a football player first, but when teams are looking for solid linebackers, might pass on him because of the measurables. ​In Part 2 of the Running of the Bulls, Hashtag Sports takes a look at the star wide receiver for UB, Anthony Johnson and try and determine if he has the ability and skill set to be a Day 1 Pick. ​A fan submission caused Hashtag Sports to breakdown their own backyard in looking at the top prospects out of the University at Buffalo. Part 1 starts with Quarterback Tyree Jackson. What does it mean to you to be a Bills Fan? ​After hitting a milestone in subscribers, Hashtag Sports wants to make a video about you...the Bills Fan. In 15 seconds or less, tell us what it means to you to be a Bills fan. 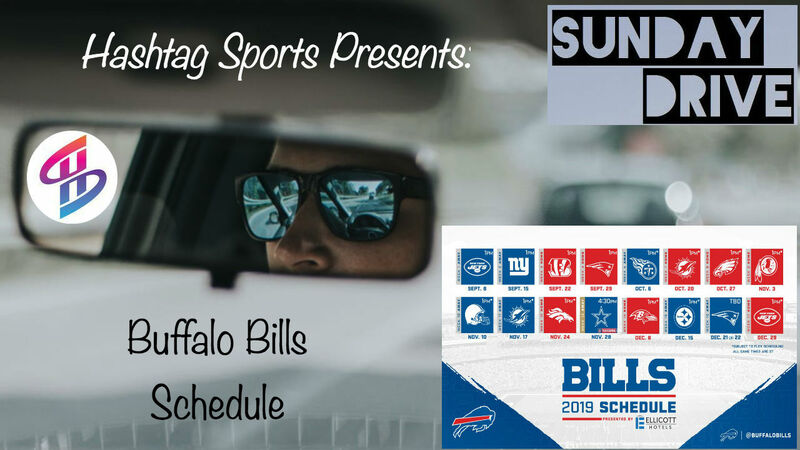 Hashtag Sports takes a look once again into the offense of the Buffalo Bills for the 2019 season and beyond, more notably a look into Brian Daboll and the offensive line and their blueprint moving forward. Buffalo Bills Offensive Line "Process"
​With all the signings of the Offensive Line for the Buffalo Bills in the 2019 offseason, does this mean that an offensive lineman is "off the table" come Draft time or can they still take one in the later rounds? ​Think the Buffalo Bills are done with adding to the offensive line? Think again. There are a few sleepers for the Bills in the later rounds.